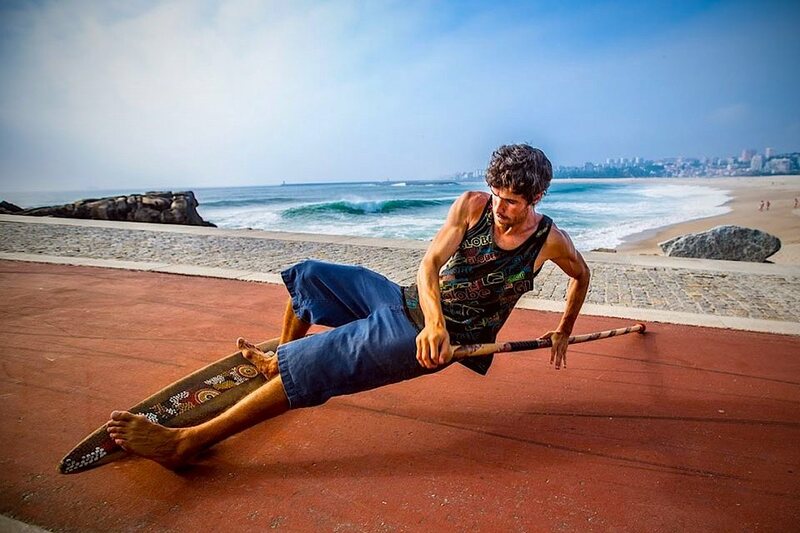 Practice surfing without actually being on the water with LandSurf, a longboard with 3 wheels and mechanics that makes board move in a way that mimics surfing. It works like a Ripstick or RipSurf but because of the two wheels at the back, it is easier to ride. It’s essentially the tricycle of ripsticks. You can push the board to get it going and generate momentum by pumping. Made from recycled Portuguese cork and pine. You might also want to check out RipSurf.